Everest Poker has launched a new progressive jackpot Twister game with a difference. Unlike some progressive jackpot Sit & Go games in which the top prize increases with each game, players will be chosen at random to play an animated “Age of the Gods” game guaranteeing one of four progressive jackpot prizes. 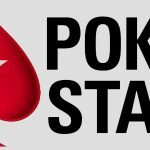 Online poker sites are always looking for innovative ways in which to attract players to the games, and Everest Poker appears to have cracked it with its new “Age of the Gods” Twister games. 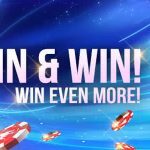 The games – which have been launched this week – have a buy-in of €1.00 and offer the opportunity for players to win more than €100,000 in each game. 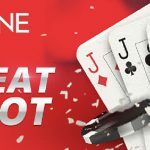 The jackpot element of the game is considerably different from other jackpot poker Sit & Go games in which everybody shares when the top prize is won. Players will be periodically chosen at random to play an animated scratchcard-style game based on the popular “Age of the Gods” slot game. Every player chosen at random is guaranteed a jackpot prize whether they win the Twister game or not. 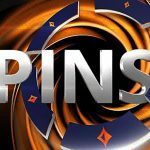 The new Twister games are similar to the regular Twister games offered by Everest Poker inasmuch as each game starts with a random prize being selected. During the random prize draw, one or more players seated at the table could be selected to play the animated “Age of the Gods” game. When this happens, the Twister game is paused to allow the “Age of the Gods” game to start. Power Jackpot – seeded with €50. Extra Power Jackpot – seeded with €500. Super Power Jackpot – seeded with €5,000. Ultimate Power Jackpot – seeded with €100,000. The jackpot element of the new games is not the only difference compared to regular Twister games. Whereas you can normally win up to 1,000x times your buy-in in regular Twister games, the top randomly-drawn prize for the “Age of the Gods” Twister games is just 100x the buy-in – although you are five times more likely to win €100 than you are in a regular game of Twister with a €1.00 buy-in. Another difference to be aware of is that the starting stack in “Age of the Gods” Twister games is only 100 chips (rather than 500 chips in regular Twister games). This means you only have five big blinds when you start each game, so you may need to play more aggressively than normal. On the plus side, games shouldn´t take so long to win if you are dealt pocket Aces in the first hand! Having only been launched this week, the “Age of the Gods” Twister games are receiving plenty of interest due to their novelty value. As mentioned above, the games are played much more aggressively than regular Twister games, and – at the moment – there are plenty of players who have not adopted to the speed of the games and who are there for the taking. Although the maximum prize money you can win in each Twister game at the minute is limited to €100 (not including anything you win in the scratchcard game), if the games continue to remain popular, Everest Poker may extend the range of buy-ins as the site has done for its . 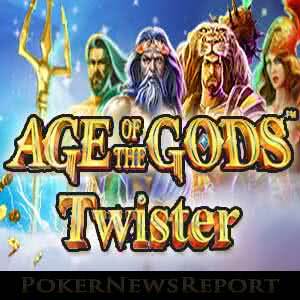 Until then, now is a good time to check out the “Age of the Gods” Twister games at Everest Poker.